Slice your cabbage thinly and put in large bowl. Sprinkle with salt and toss. Smash and stir with potato masher. This will help the cabbage release it's water. You may have to do this for several minutes. Place in a large vessel that is not plastic or metal. My husband bought me a small crock. Before that I used a large 8 cup measuring pitcher and made less kraut. Put a plate on top of the cabbage and place an upside down plate on top. Weigh it down with something heavy, like a jar filled with water. You want the cabbage to be below the water surface. You may need to add you brine here if you didn't get enough liquid from your cabbage. My well water is salty so I add plain water to mine. The first time I did it I used brine and my husband said it was too salty. Gas bubbles means the fermentation is happening. Remove and discard scum/mold formation often. This is what my first batch had on top if it after a week! A cool room, 70-75 degrees is best. Sauerkraut is complete in 3 to 6 weeks. You can test it along the way to see what is best for your palate. I go 6 weeks. It will turn colors from bright green to an offwhite cloudy color. TO CAN: Bring sauerkraut to a simmer. Pack hot cabbage into hot jars, leaving 1/2 inch headspace. Remove air bubbles. Add caps. Process pints 10 minutes, quarts 15 minutes, in a boiling water canner also known as waterbath canning. Pack cabbage into jars, leaving 1/2 inch headspace. Remove air bubbles. Add caps. Process pints 20 minutes, quarts 25 minutes, in a boiling water canner also known as waterbath canning. We (my husbands side of the family) actually just made sauerkraut for the first time ever a couple weeks ago, (120 lbs of cabbage) we plan on canning it over Labor Day weekend. I'm really looking forward to filling my shelves with those delicios jars! G'day! 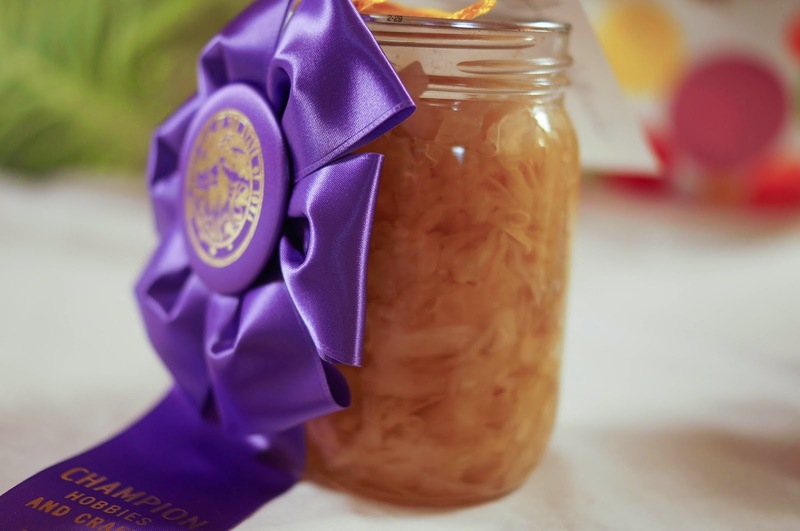 Love homemade sauerkraut Jenny! YUM! 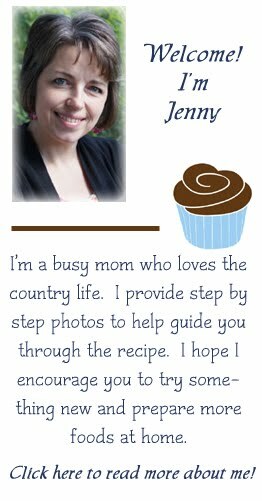 Jenny, This is a perfect addition to those Leftover Corned Beef Reubens Everyone will be having this weekend! Fantastic!! !